You and others like you are to be commended for your wish to serve as advocates for a park. Parks, forests, and public lands have been taken for granted by many people and, more alarmingly, many people are not even aware of their existence. Your efforts will build awareness of these wonderful resources and be a catalyst that affects public treatment of such facilities. 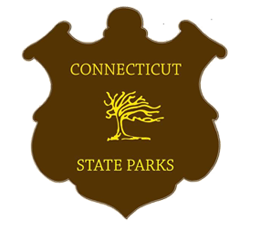 Each potential Friends Group will be given a mentor, a member of the Board of Directors of the Friends of Connecticut State Parks, Inc. to assist by answering questions and providing guidance in the establishment of the group. 1. Introduce yourself to the Park Supervisor to develop a dialog for a potential Friends Group. You will be working with the Park Supervisor to develop a partnership for the good of the Park. It is important to establish your role and that of the Supervisor at th onset of forming the group. 2. With the Park Supervisor, assess the needs of the Park. They will dictate the focus of the Friends Group. Do not assume that a Park or its Supervisor has any particular need. His or her priorities may be different from yours and this must be established early on in the formation process, though it may help when getting started to look for items of common interest. A Friends group should respect the difference between constructive volunteer assistance and interference with park management and operations. Volunteers participate at the invitation of the DEP; management of the park is their responsibility. Friends groups should also be sensitive to the role of volunteer as it relates to permanent and seasonal staff responsibilities. Volunteers are just that, volunteers, and should not attempt to do a job the State is responsible for. Our job is to assist, enhance and embellish, not to make up for or replace dwindling resources giving legislators reason to further cut Operating Funds. 3. Gather a core group of people numbering around eight individuals. This should be a select group of people who are focused on the task of forming a Friends Group. A number much greater than eight people makes it difficult to reach consensus on issues and direction. It is important that you select individuals with varied personal skills and enthusiasm to bring to the table. Skills such as organization, computer skills, finance, marketing, public relations, fund raising, negotiating, writing, and parliamentary skills are a few that will be needed. Your group may need other skills specialized to your application such as historians, researchers or archaeologists. A lawyer and/or an accountant could be very helpful, as would a banker or someone for the local Chamber of Commerce to assist in gaining public support of your efforts. This group will develop By-Laws, Policy and Procedure Manual, Incorporate the Friends, obtain an EIN from the IRS, apply for Federal Tax Exempt status and open bank accounts. The group will be meeting on a monthly basis, at least, to accomplish all the above tasks. Be sure to assign tasks to each individual or have them work in teams. It is important to maintain enthusiasm. 4. The first thing the group should do is to develop a Purpose and Mission statement for the Friends. You will frequently refer to these documents to remain focused on your cause. Much thought and effort go into developing these statements. Groups are cautioned to avoid language in these statements that may limit them in their future efforts. Remember, a Purpose Statement states why you are in existence and the Mission Statement indicates what you plan to achieve. Both Purpose and Mission Statements will probably be revised in the future to meet the needs of the group and changing times. Additional information on creating a vision/mission statement is included in a separate section of this manual. 5. You have been supplied with sample By-Laws from other Friends Groups. They are mainly to help you understand the structure of the organization. The needs of your organization are different and will be reflected in your By-Laws. If you have an attorney in your group, please ask that person to review the document or have an attorney who practices corporate law review the By-Laws. Once the By-Laws are written, select a board of Directors. Many organizations allow the president to select the Board, others have this selection from nominations. The needs of each organization are different in this respect. Remember, the first function of the Board of Directors is to adopt the By-Laws. 6. A Policy and Procedure Manual will save you many headaches down the road. This document details the responsibilities of officers, committee chairs and general operating procedures. It is the “how-to” outline for elections, i.e. if paper ballots are to be used, who administers the election and who counts the ballots. It should include the dues structure of the organization, how and when dues will be collected. Procedures on how to reimburse a member for out of pocket expenses, how payment vouchers are processed and other such items that are necessary to the smooth operation of the organization. Remember, it is easier to change the Policy and Procedure Manual than it is to amend By-Laws. Policy is the function of the Board of Directors whereas By-Laws must be adopted by the membership and is a document that must be filed with the Secretary of State. 7. The dues structure of the organization is very important for attracting and maintaining membership. Enclosed is a sample membership form. Use your membership form to secure the address, email and phone number information you need as well as volunteer interests. It is a good idea to attach your membership form to useful communication tools that are not readily thrown away like interpretive literature, newsletters, and perhaps even a park map. Recognize the need for several levels of membership including that of corporations. You must decide if dues are to be collected once a year, i.e. all remittances are required by January 1, or if you will make the member’s join date the annual dues collection date for that member. It is important to have the membership information on computer so that a disk can be passed on to the next membership chair and the treasurer can cross check to be sure that both records match. The most ideal situation is to have a database designed that both the treasurer and the membership person uses. This makes the cross-checking less vulnerable to error. 8. To carry out business according to Robert’s Rule of Order, a slate of officers should be elected to carry out business during the interim while legal papers are being filed. It is very important that detailed minutes be maintained should any question arise in the future. You will be able to defend decisions or refresh your memory on reasons for particular decisions. A well organized fledgling group gains better public acceptance. 9. It does not take long for word to spread that you are forming a Friends Group. Be prepared to receive checks from people who believe in what you are doing. This often takes place while you are in the early organizational stages. Therefore, you will find it necessary to open some type of bank account. It will most likely be a checking account. Since you will not have an EIN at this time, some kind soul will need to open a temporary account under his or her social security number. The person need only open a d.b.a. (Doing Business As) account until you are incorporated and have an EIN. If the permanent account is not opened before the end of the calendar year, the person who opened the temporary account will be liable for the income accrued in the account. This is usually impetus to get moving on the paperwork. Checks made out to your organization before you have your nonprofit, 501(c)(3) status in place with the IRS are not tax deductible. Should someone wish to make a sizable contribution, and deductibility is an issue, the check can be made payable to us, FCSP, and we will set up an account in your name until you have your paperwork in place. 10. You have been supplied with the appropriate form from the Office of the Secretary of State for incorporation, called Incorporation of a Connecticut Nonstock Corporation. If you have an attorney, he or she may already have the forms. Be sure to have names, home addresses (no P.O. boxes) and telephone numbers of your officers and Board of Directors for the filing. You must have your By-Laws complete to submit with the application. In Connecticut the filing costs $65 as of 3/01/01. If an additional copy of the incorporation paper is needed, the state charges $20 for that copy. A green Expedited Service Request form is also included in this packet. For an additional $25, your request will take place within 24 hours of its receipt. 11. Once you are incorporated, you must file for an EIN, Employee Identification Number, using the blue SS-4 form in this package. It is required so that you can pay withholding and social security taxes for your employees. It is a filing requirement of all nonprofit organizations, even if you do not plan to have employees. You may complete the form and using an 800 number call the IRS to obtain the number immediately (800-829-1040 as of 3/01/01). If this number doesn’t work, check the blue pages under United States Governments, Internal Revenue Services. Then you can mail the paperwork to the IRS. They will not send you a confirmation of the number, so be sure to correctly record it and keep it in a safe place. If you are strictly a volunteer organization with no employees, notify the IRS in writing to inform them of the fact. Otherwise, they will require you have an account established to receive such funds and you will be required to submit forms to the IRS on a quarterly basis to report your deposits. You will both be happier not having to do the paperwork. 12. Once you have the EIN you may open a permanent bank account. Many organizations have only a checking account. Depending upon the needs of your organization, you may opt to have both a savings and checking account. Be aware that many banks require a minimum balance in each account. Your earnings can be affected by the rule. Be sure to let the bank know of your nonprofit status and your mission. They might be persuaded to waive the monthly banking fees, particularly if a letter is written to the Public Relations office in advance. 13. Filing for Federal Tax Exempt Status with the IRS can be a daunting process. As you see, the booklet is 29 pages and takes many hours of hard work to complete. Read the entire booklet carefully and mark the areas that you do not understand â€¦ there will probably be several. Here is where the help of an attorney will really pay off. With an anticipated time of 55 hours 14 minutes to do the paperwork (see inside booklet cover), it is not surprising that some people abandon the process along the way. If you have kept careful records throughout your formation, much of the process will be easier. 14. You will probably wish to engage in some sort of fundraiser as soon as possible. If you are going to sell something, i.e. 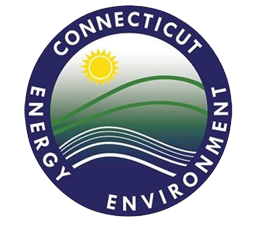 souvenirs of your Park or other merchandise, you will need a Connecticut Sales Tax Number. The Sales Tax Number can be obtained through the mail by filing the blue form enclosed with this packet, or you may visit the Department of Revenue Services and get one on the spot. It is a very simple form to fill out and the one-time filing fee is $20. You are supplied with instructions for remitting the sales tax you have collected and Form OS-114 for reporting purposes. From legislation passed in the spring of 1995, it is now legal for gift shops to exist in State Parks. 15. With your public relations person or committee, prepare to formally announce the formation of your Friends group. Do this through local newspapers, radio, public access television, and announcements at meetings such as the Chamber of Commerce, Rotary, Kiwanis, and other civic organizations. Have a boilerplate statement indicating your purpose and mission to be included with all press releases along with contact names and phone numbers. Many people will have questions. 16. Invite the public to an informational meeting. If possible have an open house event with tours and light refreshments. Coffee and cookies often suffice. Do not have them come to a business meeting unless they are members. If you open your meetings to the public, be prepared for the press. They have a right to attend meetings open to the public. If you are planning something or have any type of controversy brewing, the press will most likely jump on the opportunity to spread the word for you. To avoid any embarrassment of having any plans released prematurely, do not have open meetings. It is suggested, however, that you hold open houses on several different occasions to accommodate those who may not have been able to attend at other times. Have membership forms and literature about the organization available. You would be surprised how many people will join on the spot. 17. Many groups have meetings after a membership drive to form a Board of Directors. It will depend on how you wish to start your organization. Some feel controlled growth for their Friends group meets their needs and others feel the more the merrier. You must examine your organization’s style to make the determination. FCSP is a Board-driven organization with only the Annual Meeting as an open membership meeting. Other groups have monthly Board and general membership meetings, while others have the Board meet monthly and the general membership only quarterly. We can put you in touch with groups similar to your own to help you make these decisions. 18. The Board of Directors adopts the By-Laws as part of the incorporating process. It is done either before or after the papers have been filed. But, the By-Laws must be adopted at sometime soon after the incorporation for the group to conduct business. 19. It is vital that you keep a copy of every form you file. If you have made an error on the form your will be notified of the error but most likely, you will not receive the original form for correction. So, you want to know what you did originally when filing your correction. 20. Insurance is advisable to protect your Board and members from liability should something happen at a Friends sponsored event. A base price for a group just starting out is approximately $250 to $300, usually based upon membership. Basic liability insurance is written to protect members of your organization from being sued by others, not to protect members should they be hurt performing duties for the organization. The State is currently revising its policy on volunteer injury and liability. You are embarking on a great adventure. We wish you good luck and success!